Blogging used to be very popular in China, until Weibo and WeChat took over. During that period, there were countless bloggers in China and you can find many good English blogs on China as well. Nowadays things have changed. Most people in China follow their favorite WeChat official accounts on a daily basis instead of following blogs. Many China blogs have stopped updating their sites. If you happen to read a “Top China Blog List” published a few years ago, you might find most of the blogs listed there are dead now. However, there’re still some good English blogs on China that are live and kicking. In this article, we will show you some of best China blog that are still active. 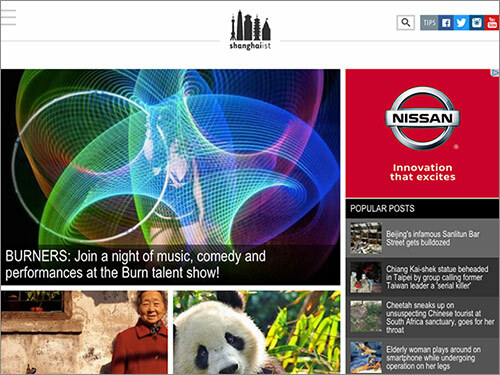 Although Shanghaiist is a website about Shanghai, its popular blog doesn’t limit itself to this city. It covers pretty much the whole country and writes about many different things. This blog is very active and includes topics such as news, arts & entertainment, food, local events and more. 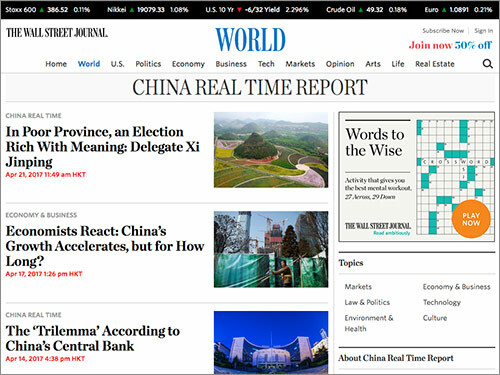 From The Wall Street Journal, China Real Time Report is an English blog about China. It offers insight and analysis from reports across Greater China. 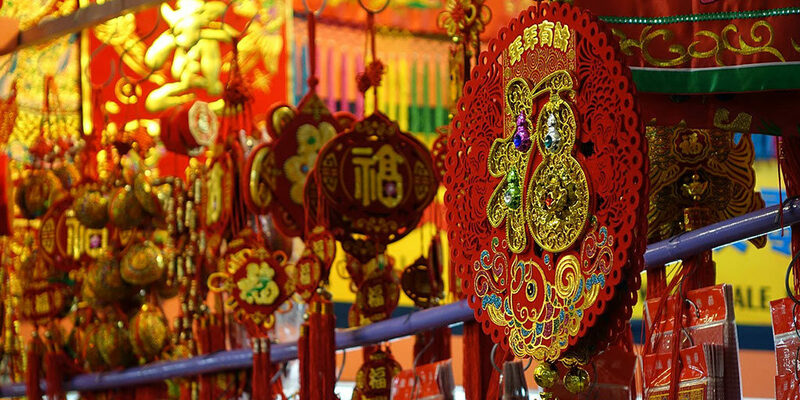 This China blog covers topics such as law, policy, economics and culture in China. 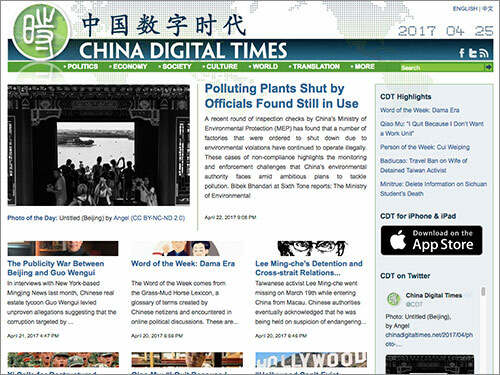 China Digital Times is a bilingual website covering news, commentary, and analysis about China. It’s based in California and its English blog gets updated very often. Sinocism’s website looks really plain and there are almost no images. However, it has many followers and gets updated quite often. It’s more like a newsletter with news summaries about what’s happening in China. 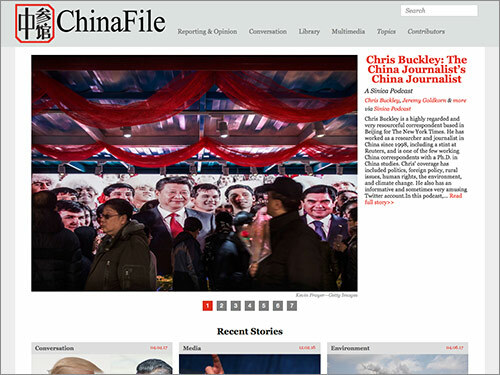 ChinaFile is a website maintained by the Center on US-China Relations at Asia Society. 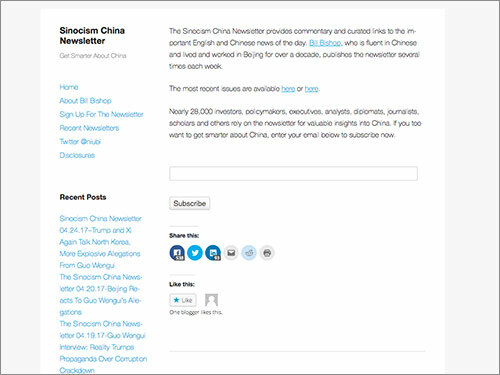 The China blog covers topics such as China news, analysis, culture, environment and media etc. Its articles are written by a number of contributors and its website gets updated very frequently. 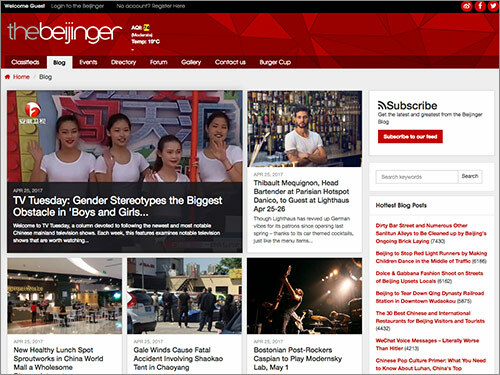 Maintained by The Beijinger, a popular English lifestyle magazine about Beijing, China, this blog covers events, guides, and other stuff about Beijing and China. Speaking of China is a personal blog maintained by Jocelyn Eikenburg, a U.S. born writer living in China and married to a Chinese husband. Jocelyn blogs about topics such as being a foreign wife in China, interracial/cross-cultural relationships, AMWF pride etc. 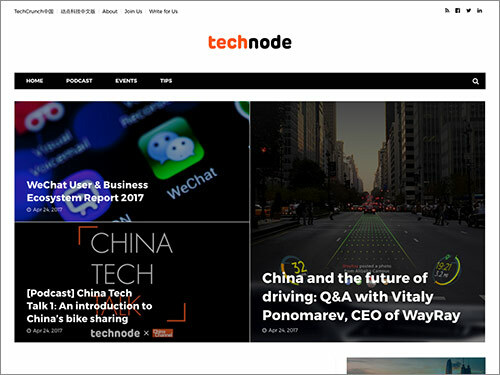 If you are interested in China’s tech industry, you should check out TechNode, an English website covering China’s tech and startup scenes. It’s a very active blog that gets updated often many times a day. TechNode is the official partner of TechCrunch, one of the most popular tech blogs in the U.S.
Every expat living in China knows what a VPN is and why you need one. Since using VPN is getting harder and harder in China, following a VPN testing and review site such as VPNDada becomes necessary. 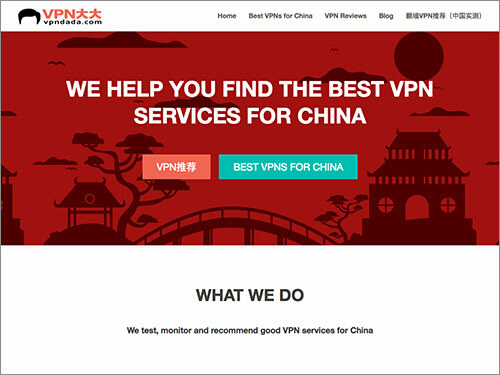 The team behind this website tests major VPN brands from China and reports which VPNs are blocked and which ones are still working well in this country. 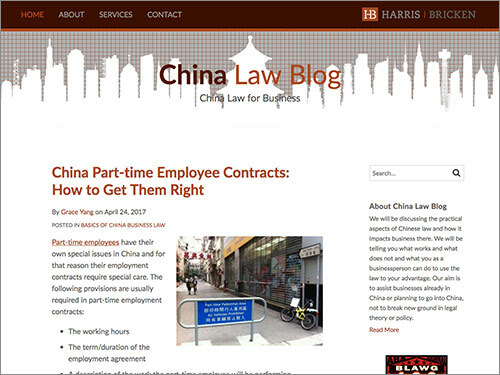 Maintained by Dan Harris and Steve Dickinson etc., China Law Blog is a business blog that discusses Chinese law and how it impacts business in China. 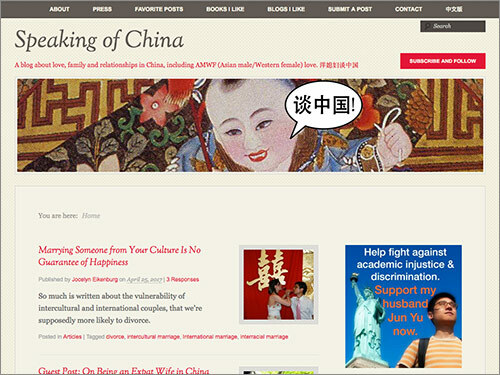 We have listed some of the best English blogs on China. It’s quite possible that we have missed some and you might have different favorites. Anyway, we hope this list might help you discover some good China blogs. By the way, may we suggest that you also consider following our own blog, 24hChina.com?